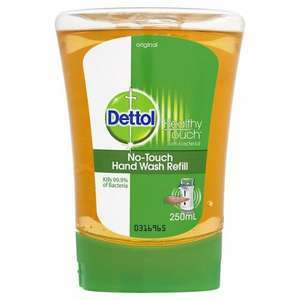 Dettol Original No-Touch Hand Wash Refill. cheaper to buy cheap baby bath from morissons for about 9p and refill with that. 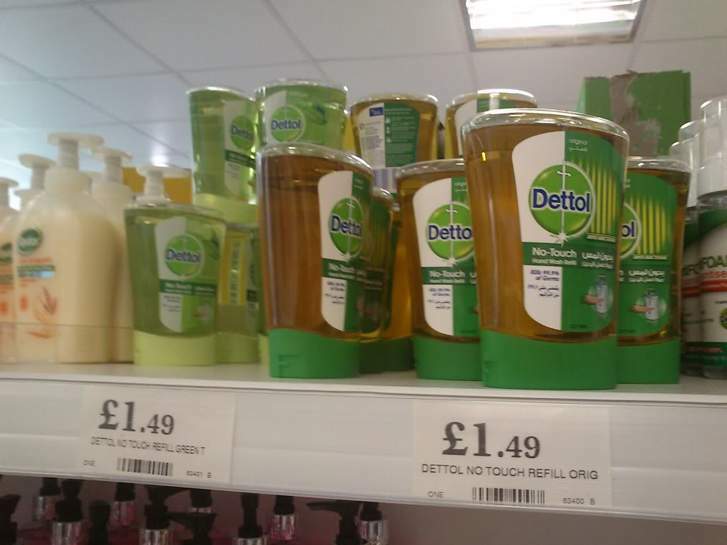 I think everyone is waking up to the fact that the Dettol dispenser is no more than a gimmick and the refills are too expensive - even at £1.49 - and they are only 250ml. No touch? How does that work then - telepathy? No, stupidity. You pray to the uber pod that appears every few months with its 2 quid token then you get yay-sayers and nay-sayers doing battle about touching meeeeee, touching yewwwwww and then everybody who's had to wash their hands with normal soap has children that need to be encouraged to wash their hands with a magic Harry Pottter dispenser because they're lazy or thick parents who think their children are stupider than themselves and then this offer happens after. No, stupidity. You pray to the uber pod that appears every few months … No, stupidity. You pray to the uber pod that appears every few months with its 2 quid token then you get yay-sayers and nay-sayers doing battle about touching meeeeee, touching yewwwwww and then everybody who's had to wash their hands with normal soap has children that need to be encouraged to wash their hands with a magic Harry Pottter dispenser because they're lazy or thick parents who think their children are stupider than themselves and then this offer happens after. is there a no touch no touch refill? I don't touch the staff. They refill my dispensers. Please can you describe how to open to to refill it with cheaper products. I thought of refilling it myself but I couldn't get the lid off. Thanks. No touch makes no sense. You still have to touch the taps.